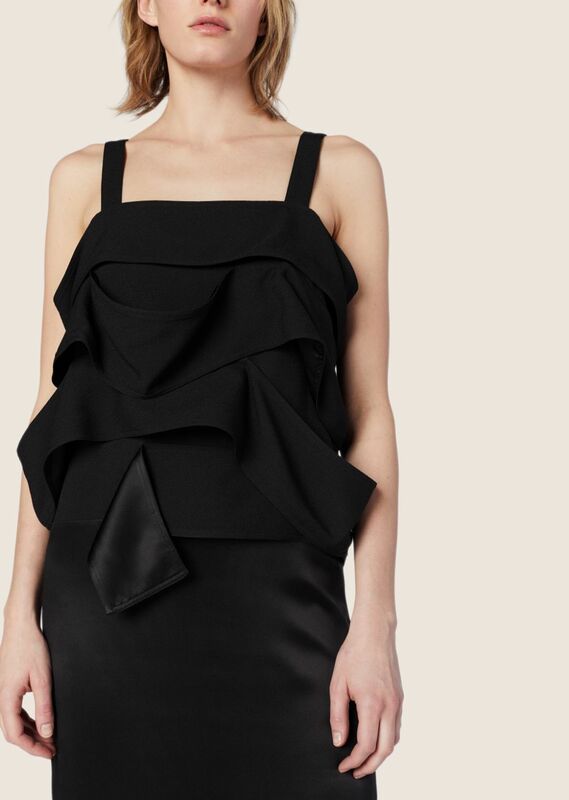 Camisole dress with loosely draped ruffle panel detailing through the bodice. Square neck. Wide shoulder straps. Made in Italy.